After spending an afternoon taking advantage of the ridiculous sales taking place in all the stores along Fifth Ave, I made my way over to Broadway and 20th to meet up with DL at Wined Up for a drink and light nosh after she was done with work. 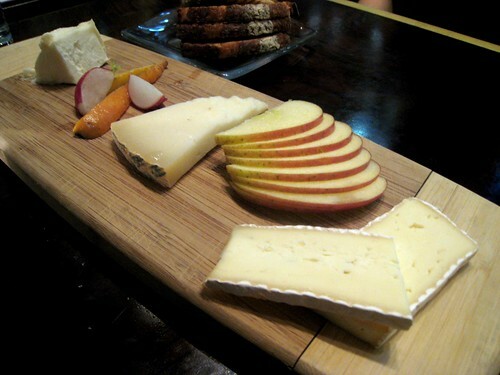 Wined Up is the sleek, comfortable wine bar located above the restaurant Punch, and while we had the option of ordering from Punch's dinner menu, we opted to pair our vino with a selection of cheeses instead. How could we not, with both of us being total cheese-lovers? 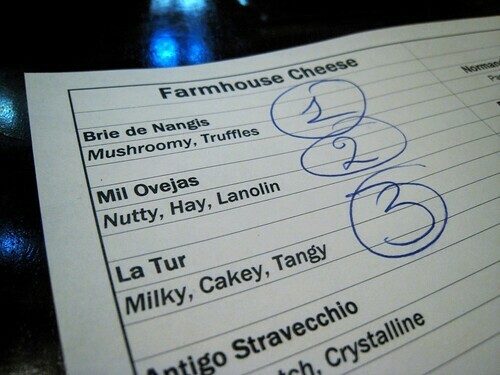 We chose three—La Tur, Brie de Nangis, and Mil Ovejas—and you can see some of the adjectives Wined Up used to describe the different cheeses in the first photo. I think my favorite was the La Tur; it had the texture of a dense cheesecake, and was perfect alone or spread on a bit of the accompanying grilled bread. 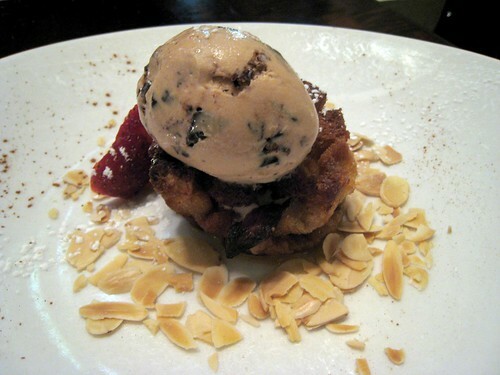 DL wanted dessert, too, so she asked for the bread pudding, which came interspersed with bits of roasted strawberries and was topped with a scoop of amaretto ice cream with cocoa nibs and toasted almonds. This was pretty good, and just the right size. While I don't know enough about wine to comment on what we drank—except to say that I liked it—I think Wined Up is a great place to linger with nibbles and drinks, especially with the floor-to-ceiling windows at the front offering a nice view of Broadway and beyond. And romantic, too, if you're looking for a date spot.